2018 fall western trip, Canyon Rims BLM RA, Utah, between Moab and Monticello, Needles Overlook. Almost all of the east side of Canyonlands NP is visible from the Needles Overlook which is on a paved road off of US 191. 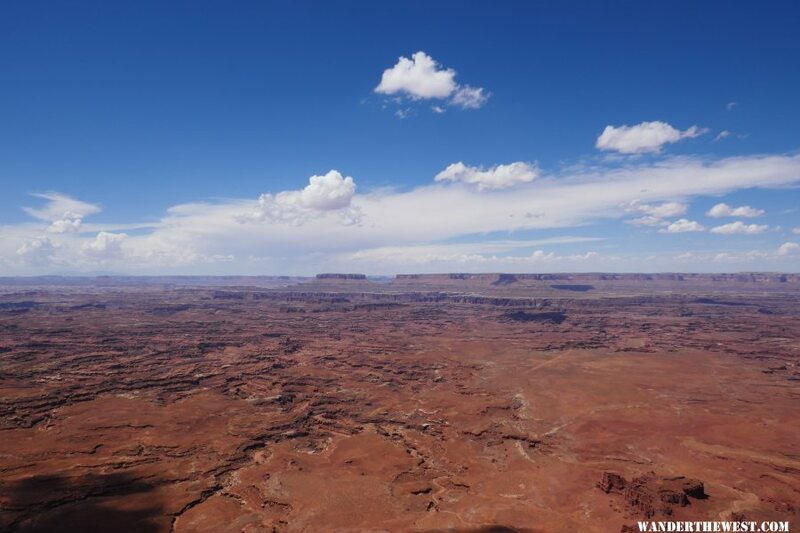 View west of Grandview Point of Canyonlands NP in the distance. The White Rim Road passes at the left base of the butte (Junction Butte) in picture center left with the Colorado River in the deep canyon.